COR is a Family run company of Surfers and Paddle Boarders, Kayakers and just loving the outdoor life! Trust the brand that lives the life you do! 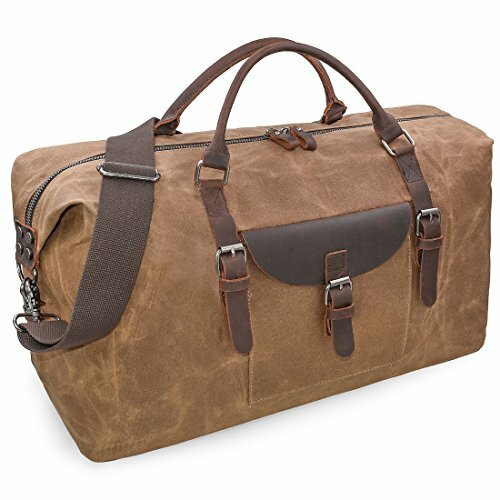 We designed the new duffle bag for every outdoorsman in mind. 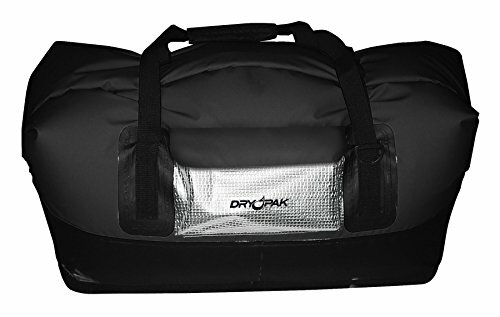 Whether you will be spending weeks on the river with your bag submerged in water all day, or just going to the tropics on Vacation and want to be prepared for the rain, this is the best all-round bag you can buy! It's crazy how much stuff you can fit in this bag. I went snowboarding last weekend and fit my boots, gloves, snow pants, three jackets, my helmet, three pairs of goggles, my lunch, socks, dry clothes for after and STILL HAD ROOM! 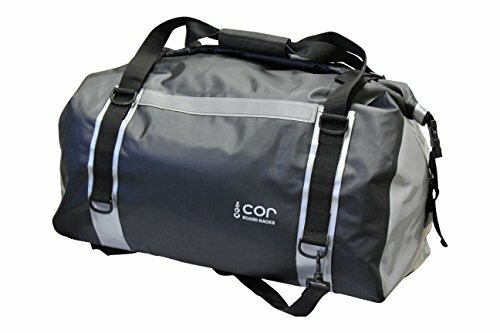 This is a great gear bag for snow, wind, rain, hail, rivers, ocean....you name it! Many people love this as a waterproof saddle bag for their trips. Comes with a 100% money back guarantee. We'll even pay the postage if you're not happy. Please take some time to read some of our seller reviews. Zippered duffels are water resistant at best. These roll top Dry Pak duffels take waterproof to a whole new level. Shut out water by rolling down the top a few times and snapping the side release buckles together. Unroll and open to enjoy the huge tapered access opening on top. Items are easy to pack and easy to retrieve. There's a convenient water resistant zippered pocket with storm flap on each side, one clear, one opaque. Quality manufactured from extra heavy-duty vinyl/polyester laminate with electronically welded seams; there are no leaky sewn seams to seal. The molded bottom adds structure and protection to contents. The high end plastic hardware ensures long life. The shoulder strap is removable, adjustable and padded for comfort and convenience. Great for boating, paddlesports, camping and scent proof storage for hunting. 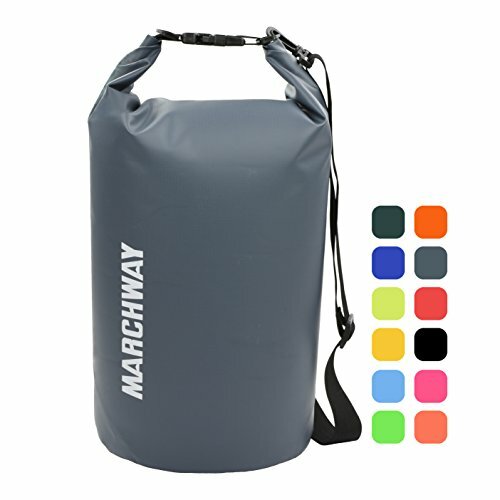 Specification: -Material:ripstop fabric that resists wear and tear,water resistant PU400mm -Dimensions: 31x 12x 16 inches -Weight:0.17lb Note:The water will not infiltrate into the interior through the fabric except the zipper. 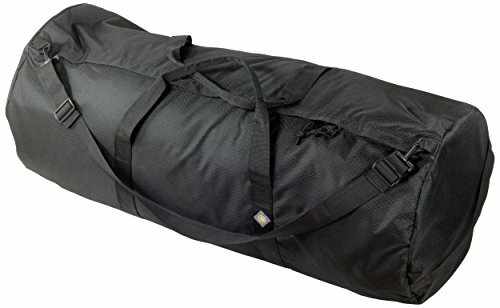 (Please note that the zipper is not water resistant)This Foldable duffel bag can hold a multitude of items, including clothing, bedding such a sleeping bags and ground pads, workout gear, baby playpens, groceries, and much more. It¡¯s also perfect for equipment that is used in sports and recreational activities like hockey, baseball, boating, fishing, paintball, and skiing. The smaller exterior pockets can accommodate toiletries, shoes, electronics, travel documents, toys, etc. 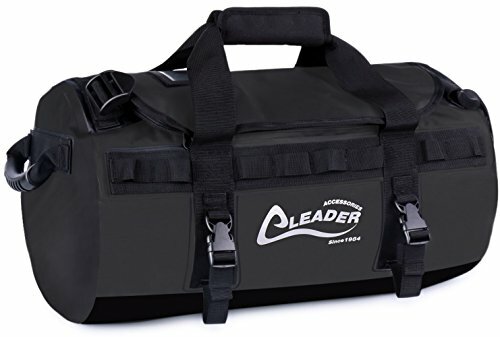 As a simple and efficient way to pack and stow your gear and other essentials, this durable duffel bag will provide years of use whether you¡¯re using it on your travels, outdoor trips, or for the everyday. 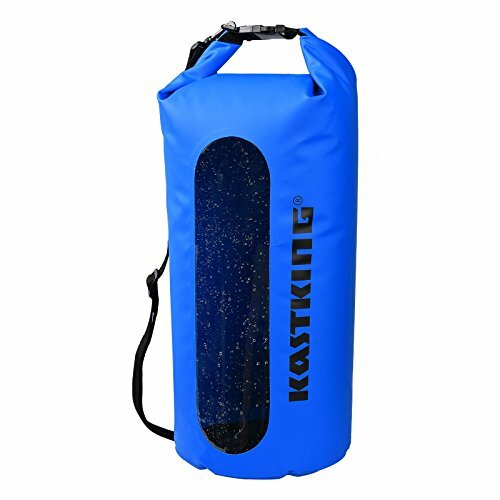 KastKing waterproof roll top dry bags are built for extreme outdoor adventure! Various sizes and color for all purposes. 100% waterproof heavy gauge non rip 500D PVC material, heavy-duty construction, fusion welded seams, double overlap roll top, reinforced vinyl at stress points. A clear see-through panel allows you to see what's in your bag without unpacking. 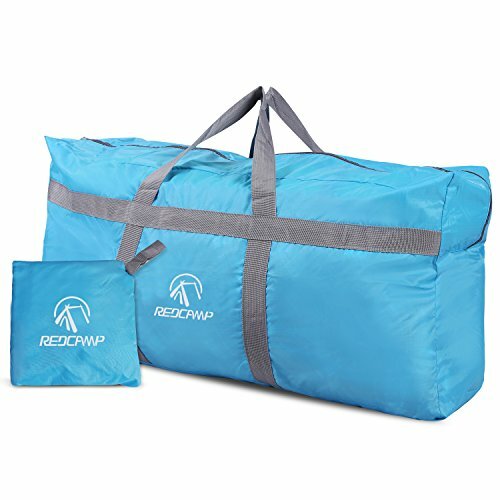 Watertight dry bags with floatation capability are perfect for: beach, camping, boating, kayak, canoe, hunting and fishing trips, or as an emergency go bag or can be used as a camping pillow. Use them to store extra dry apparel, cameras, video equipment, electronics, Go Pro, phones, fishing tackle, tools, or accessories. 3 perfect sizes - 10 Liter, 20 Liter, 30 Liter with fully adjustable shoulder strap. Size instruction (Diameter x Height): 10L: 19.59 x 7.87 inches (50 x 20cm) 20L: 25.20 x 9.45 inches (64 x 24cm) 30L: 27.17 x 10.24 inches (69 x 26cm) KastKing Dry Bags are a must have item for any outdoors activity! The Gear Bag You Can Trust The SD 1640 is a versatile duffle gear bag for everything from daily use to travel as carry-on luggage. The SD 16400′s features include: - 1050 HD TUFF CLOTH Fabric - 16″ Diameter by 40″ Length Vestibule - 131 Liter Capacity - Full Length #10 Construction-Grade HD Zipper - Double Reinforced Fabric Box-Stitched Stress Points - Dura-Coated Fabric for Lasting Content Protection - Wraparound HD Webbing Reinforced Handles - Detachable and Adjustable HD Webbing Strap - Product Designed in the USA - Available in Three Colors About North Star Duffle Bags: North Star Bags is committed to producing durable gear bags at a low price. Every material that we use in the construction of our duffel bags is tough and heavy duty. From the 1050 HD TUFF CLOTH fabric to the construction grade #10 zippers – we have thought of everything. We keep the design simple, effective, and ultimately efficient: the wraparound handles form a continuous loop for maximum load bearing strength, the zippers run the full length of the bag, all of the stress points in the fabric are double layered and box stitched. We find value in providing an honest product at a terrific price. 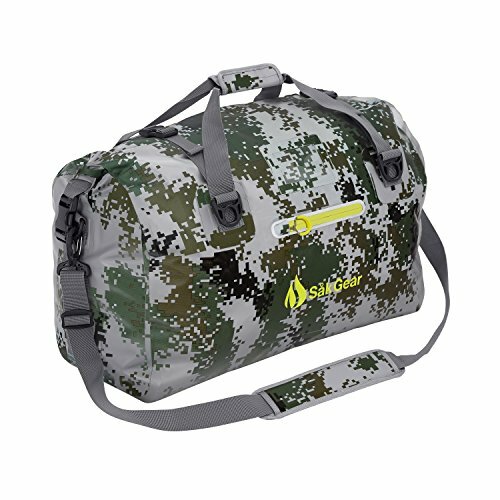 North Star Bags is a subsidiary of North Star Sports USA.